I've been swimming at some of the best beaches in the Caribbean and Pacific. And I won't lie to you, those beaches are fabulous! Long stretch of beautiful, soft sand, an exotic drink in hands, lapping waves, and palm trees. Hell yeah, these beaches are as good as it gets. And I'll not even mention sand castles. Croatia, on the other hand, has very few sandy beaches. And they are not white sand beaches. Anyways, they are rare, and certainly not Croatian strong point. But I LOVE Croatian pebble beaches. And you know what, I love them even more than any sandy beach. #1: Croatia beaches are pebble beaches. Sand is messy, and it gets everywhere! It gets in your beach bag, your shoes, your clothes, hair, on your hands, even on your sandwich (and consequently in your mouth). You bring it in your car. You bring it home. And it's there to stay… forever! Seriously, sand is like the best and the most annoying thing about a sand beach. Not a problem with a pebble beach, though! And Croatia has plenty of beautiful pebble beaches. #2: You know how they call a heavy paper with abrasive material – a SANDpaper. So after that sand gets everywhere, here comes the itchiness all over your body. Like a 20 grit sandpaper. Solution: a pebble beach! In Croatia! #3: Pebble beaches have excellent underwater visibility. Pebbles do not move as easily as sand, thus the sea stays clear. Good underwater visibility is really great for diving or snorkeling in Croatia. #4: Natural shade! Come on, don't tell me that sun umbrellas can protect you from the heat… From the sun maybe, but from the heat? No way. How about lush greenery, and high pine trees growing right from the sea line! Pines are not palms, but they make much more natural shade. Worried about sun burns? Not in Croatia. You can spend the entire day at the beach, in a deep shade of the pine trees. You'll never get too hot at Croatia beaches. And if you do (that I doubt), three steps and you are soaking in a beautiful Adriatic. #5: Cliff jumping into the sea! In Croatia, rocky coastline alternate with pebble beaches and this means lots of opportunity for cliff jumping. Sand, pebble, shingle, rocks… what's your favorite kind of beach? Let us know in the comments below! Frank I live in Australia and every time I go deeper than head height my Mrs starts yelling, come back – be careful of the SHARKS. I have been to Croatia many times and in places like the Kornati you just want to jump of your boat every 5 mins as the water is so clear and there are no deadly SHARKS in Croatia. Jumping of a boat in Australia is something I would never do. This creates such a great and relaxed vibe when sailing around Croatia knowing that the waters are safe. Nice Post………..a little late in finding it but I have now. I have set up this website to create a business after I retire this June.I am 55. 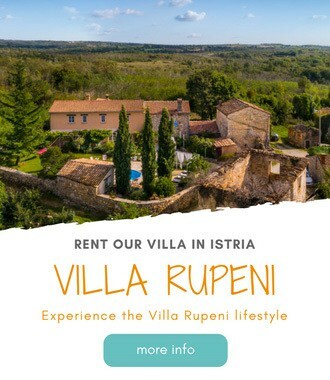 The main business activities I hope to promote are selling/hiring Croatian Property to the Brits and hopefully get people to hire their car etc through my website. I want the site to be ‘real’ in as much as we offer sound advice along the way and try to make it interesting along the way.Your insights in the beach department is just what we are looking for. You sound like this is your take on things and I will be adding a website link to your blog if you do not have any objections. I too love Croatia and am based in Kozino 5Km north of Zadar.This is the area I know best and my plan is to live here most of my time once I reach retirement from the UK. We fly out end of March 2015 to promote the site and have a bit of a holiday. If you have any suggestions re the website and business opportunities I would very willing to discuss. Good on you for praising the pebble! I live in North Queensland so am used to sand beaches. I have a NQ friend who hates sand with a passion. She would so love your pebble beaches 🙂 Croatia may well be our next travel destination and I will be able to try them out for myself. They look gorgeous! I grew up on the beaches of Croatia, so you can imagine my frustration on my first trip to Florida. That sand gets in everywhere, even the places it should not be in! And there is no natural shade anywhere. I will take a pebble beach any time! I also love pebble beaches! Not only are they less messy, the pebbles provide a free foot massage when you walk over them! I don’t usually like hanging out on beaches – partly because sand is boring! I’d love to try a pebble one. Oooh I love the idea of a pebble beach. I’m so used to sandy beaches here in Costa Rica that it’d be nice not to get covered in it all the time! So pretty! Ohhhhh my god, those beaches. Next time I’m in Croatia! Can you believe that I’ve never been to the beach in Croatia? I know, it’s a travesty that I intend to rectify very soon! I have never been to a pebble beach, but i’l take the underwater visibility and would not mind giving cliff jumping a try. These beaches look beautiful. I’m not much into sand anyways! I prefer a sandy beach to a pebbly one, but I do love Croatian beaches. They’re not often crowded like a lot of other beaches in Europe, which is great. Haha, I love climbing the rocks and jumping into the ocean! Great photos. Thanks, Si! I do think you are the majority here :-). That’s why we wanted to point out few advantages of pebble beaches. Like you said, Croatian beaches, except few, are not too crowded. And that is the nice part about them too. Where did you go in Croatia? Great post and photos! We only got to visit a couple of beaches in Croatia, but we thought they were some of the best we’ve been to in Europe. They were always clean, and didn’t seem to crowded (although it was late August/early September). Thanks for sharing and safe travels! Thanks, Travis! Glad you put Croatian beaches as high on the list of the European beaches. And it’s true, even in the high season, I think they aren’t that crowded (except few). Shade and no sand makes these unique and great enough reasons for me to spend some time in the Croatian beaches. Although, it may take some time for me to adjust to no sand and dusting them off everywhere. Lol, Mary! Yes, maybe once we get used to dusting it off, we stop caring and start actually enjoying it :-). Let us know if you decide to visit Croatia. We can show you some nice beaches around. Very different from the beaches I’m used to in Oz. I like the sound of it very much. I couldn’t agree more. Croatia rocks (get it?) The Adriatic sea down by the Dalmatian coast is incredibly clear and beautiful. Such stunning locations. Thanks for stopping by, Philip! Glad you enjoy the beaches in Dalmatia. For us the nicest ones are along Makarska Riviera in Dalmatia. We usually do Caribbean beaches and love the sand, despite its drawbacks. However, we have always heard that Croatian beaches were amazing and, especially now, we are really looking forward to a beach road-trip! We love to explore beach ecology and the clear ocean sounds great! A beach road-trip sounds amazing! Especially if the coastline is a bit rugged. Dalmatian coast is mountainous, and offer beautiful scenic drives. You’ve definitely got a point. I hate how sand gets into my swimsuit, shoes and sandwiches. The water in that 2nd photo looks so clear and blue. Yeah, somebody on my side :-). Just kidding! I love the time at the beach, but really dislike all that sand afterwards. Good point about the pebbles increasing visibility – this has definitely helped in setting all of the bautiful photos I see of the Croatian coastline. Also, I really enjoyed laying on the rocks on Lokrum off Dubrovnik. Finding a nice, flat one was key! Thanks, Dave! Oh, yes, I am actually totally into rocks sunbathing and cliff jumping (another reason I love it here), but majority of people prefer beaches (I think). For me, the most important is to find a place that is not too crowded (and this is usually on the rocky parts of the beach). I’m so with you on the sand vs pebble thing! Around where I live it’s also pebbels and visitors are often surprised and initially disappointed but then realise the advantages that you mention. I spent time last summer on the Markarska Riviera beaches and absolutely loved them for all the reasons you say. Plus the water was so calm, limpid and much warmer than the French Riviera. Lovely post, very tempting. Yes, Phoebe, it happens to us here too . visitors are often disappointed at the beginning that the beaches are not sandy. Where at Makarska Riviera did you stay? Beaches at that area are definitely the nicest in Croatia (although they can be really crowded, especially in Makarska itself). I love all your articles and stories about Croatia ~ we love it there I share all your stories with my hubby so we can make a long trip and investigate everything! Thanks, Stacey! You are being so kind that you make us shy :-). Hope to meet you in Croatia! I didn’t know pebble beaches mean more visibility – but it makes sense! And you’re right about sand getting everywhere — even in your sandwich! It took me a while to realize that too. And one day it just hit me – visibility is amazing. When I look into the sea from the third floor at my in-laws house, I can see the sea bottom as clear as if I am standing right at the sea level. I like sandy beaches for relaxation. But I love rugged coastline for its dramatic effect. Croatia beaches look amazing! It’s true too. Rugged coastline has such a dramatic effect. Great article Frank. Completely with you on the itchy sand that just, gets, EVERYWHERE! I love the pebble beaches on Korcula and all the awesome snorkeling possibilities. We’ve got a couple of sandy beaches on Korcula in Lumbarda, but give me pebbles any day! Thanks, Rachael! Next time we are in Korcula, we’ll call you for a private tour of these awesome pebble beaches. Deal? I can almost hear Croatia calling me!